Your Health Hub has a multi-disciplinary team approach to Memory Assessment and Dementia Diagnostic Services and is led by our Specialist Aged Care Nurse Practitioners, Psychogeriatric Nurse Practitioner, Dietitian, Physiotherapists, Psychologists Collaborative Old Age Psychiatrists and Geriatricians. The Nurse Practitioner Led Memory Clinic is a specialist diagnostic clinic which aims to assist people with memory loss, or changes to their thinking, and those who support them. Early diagnosis is important to determine the best treatment and plan for the future. It provides the opportunity to learn about the condition, understand changes as they happen and cope with day-to-day issues of cognitive change. Early stage dementia can often be accompanied by depression or anxiety, which can be treated. 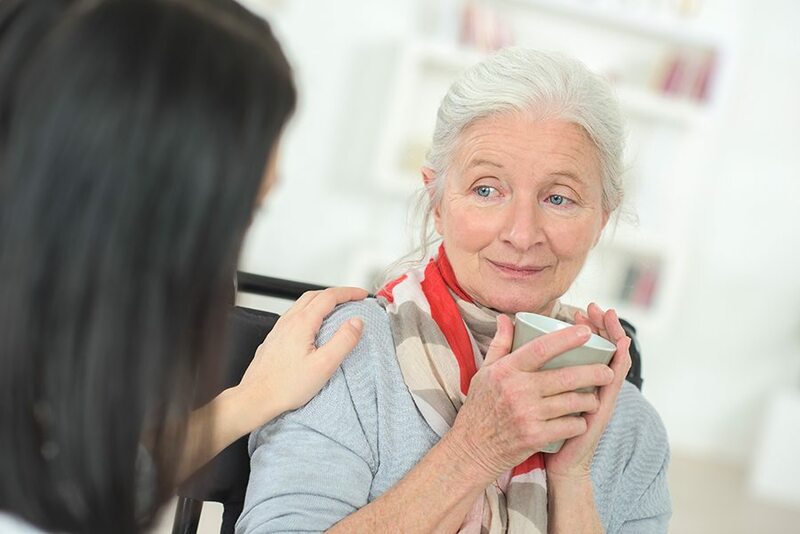 An initial consultation consists of a Comprehensive history clinical assessment and cognitive testing followed by a further consultation with the person and their family/carer to discuss the Diagnostic outcome and a management plan. During your visit to the memory clinic, you will be seen by a Specialist Aged Care Nurse Practitioner. The Nurse Practitioner will discuss any current or Past Medical Problems as well as any memory problems you’ve encountered. They may get you to do some tests to check your memory and thinking processes. We realise it can be daunting having to do tests and it’s easy to get stressed about them, but try not to as much as possible. They’re not trying to catch you out or show you up. They just want an accurate idea of how you’re coping. When will I visit a memory clinic? In most cases, you’ll visit a memory clinic after being referred by your General Practitioner. You may have already had a memory assessment from your doctor and he decided that you need to see experts who specialise in memory problems, such as a Nurse Practitioner Psychologists, Geriatricians. You are able to self refer to our Nurse Practitioners or a family member or carer can refer a loved one. Why would I go to a memory clinic? The idea behind a memory clinic is that it provides a more in-depth look at any memory problems you might be having. They can provide a diagnosis, offer treatment where appropriate and provide advice or put you in touch with services that might help you within the community. More importantly, they have plenty of experience and more time during the appointment than a GP might have to really get to the bottom of any issues. How will I be assessed at a memory clinic? During your visit to the memory clinic, you will normally be seen by a nurse, doctor or psychologist. You should bring someone along with you to the appointment such as a family member or friend as the doctor may also want to talk to them about any of your symptoms that they’ve noticed. You should bring your spectacles or hearing aid if you use them, as well as details of any medications that you are taking. The appointment can last around an hour. The doctor will discuss any current or past medical problems as well as any memory problems you’ve encountered. They may get you to do some short tests to check your memory and thinking processes. We realise it can be daunting having to do tests and it’s easy to get stressed about them, but try not to as much as possible. They’re not trying to catch you out or show you up. They just want an accurate idea of how you’re coping. Our Nurse Practitioners and Psychologists offer individual and confidential support and treatment. Post hospital care provides support and reduces social isolation. Healthy Ageing Group Therapy programs are conducted at Your Health Hub and delivered by one of our clinicians. They focus on understanding depression and anxiety and developing new ways of coping. What happens next after visiting a memory clinic? Depending on what facilities are available in the clinic, you may have other tests either there, or be referred to your nearest hospital’s neuropsychology unit for brain scans such as a CT or MRI scan. At the end of the visit you will be told how you have done and if and when you need to be seen again. They will also send details of your test to your GP. You may be asked to come back to the clinic in a few months’ time for more follow-up tests. An assessment with the memory clinic will include medical and allied health consultations and usually includes a visit to your home. We will discuss the assessment results and recommendations with you. It is necessary to have a family member or close friend present at both the home visit and clinic appointment to assist in our assessment process. Following our investigations and assessment we will meet up to provide you and your family member or friend with feedback. This feedback will also be sent to the referring doctor. People experiencing dementia need support to manage common issues of anxiety, stress, depression, lack of motivation and low self esteem. Relaxation and Mindfulness classes in a supported environment. further consultation with you and your family/carer to discuss an ongoing management plan. Depression and anxiety often goes unrecognised in older people. Older people are less likely to talk about their mental health.